Will China Have Its First Female Politburo Standing Committee Member? 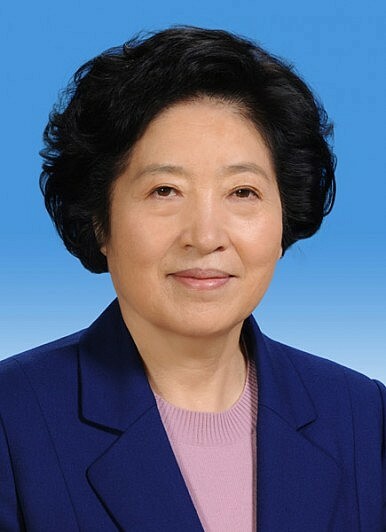 Sun Chunlan is in prime position to be the first female politician to reach China’s top decision-making body. By her new appointment as director of the Central United Front Department, Madame Sun Chunlan seems to have been demoted. Former party secretary of Tianjin (one of the four centrally administered municipalities) and a member of the Politburo, she has apparently moved down to become the head of this central department with little power and prestige. Alternatively, it is also likely that by this appointment, she is being groomed for a more important leadership role in the near future. As Yu Zhengsheng, currently the No. 4 ranking Politburo Standing Committee member and chairman of the Chinese National People’s Political Consultative Conference (CNPPCC), will have to retire at the forthcoming 19th Party Congress in 2017 due to his age. By then, Sun Chunlan, a full member of the Politburo, will have gained experiences as party chief in one province (Fujian) and one centrally administered municipality (Tianjin) as well as having served as head of the Central United Front Department for almost two years. That will make Sun a great candidate to succeed Yu both as chair of the CNPPCC and as a Politburo Standing Committee member. If that happens, Sun will be the first female Politburo Standing Committee member in the entire history of the Chinese Communist Party. Professor BO Zhiyue, a leading authority on Chinese elite politics in the world, will take up an appointment in January 2015 as Director of the New Zealand Contemporary China Research Centre (NZCCRC) and Professor of Political Science at Victoria University of Wellington. The only nation-wide research center on contemporary China in the world, NZCCRC aims to be a global leader in knowledge generation and knowledge sharing on political, economic, and social life of contemporary China among tertiary institutions, business sector, and policy community for the benefit of New Zealand. Based in Victoria University of Wellington, the Centre has seven member universities: Victoria University of Wellington, the University of Auckland, Auckland University of Technology, the University of Canterbury, the University of Otago, the University of Waikato, and Lincoln University. At the Party Congress next week, China’s political machine will indicate its future direction.